An elderly Uyghur woman living in Xinjiang is being threatened and harassed by police, who have warned her not to speak to foreign media after preventing her from traveling abroad to visit her son and grandchildren in Turkey, sources say. 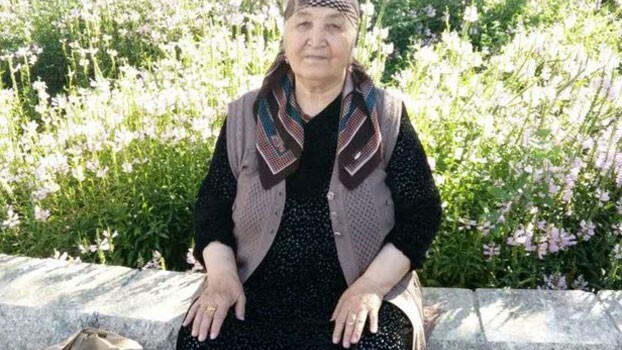 Rabihan Musa, 82 and a resident of Bortala city in Xinjiang’s northwestern Bortala Mongol Autonomous Prefecture, had tried in February to leave Xinjiang to visit her family members, who had fled Xinjiang for a better life in Norway six years before, Rabihan told RFA’s Uyghur Service. But police seized Rabihan’s passport before she could purchase a ticket, she said. Rabihan was then told by police that her passport had been taken because her son Kurbanjan Arip, 50, had met with exiled Uyghur leader Rebiya Kadeer while in Norway and was “a member of her organization,” the Munich-based exile World Uyghur Congress, she said. Police officers turned away her calls, shouted at her in the street, and refused to let her use the station’s restroom, Rabihan said. “I was so embarrassed while walking down the street because my pants were frozen in the cold, and I even had to get on the bus in that condition,” Rabihan said. “I briefly considered suicide, but stopped myself after thinking of my children,” she said. Alarmed after Rabihan gave interviews by phone to RFA’s Uyghur Service, police offered to return her passport if she would “end her petition,” Rabihan said. “I said to them that they had told me to go over their heads with my complaints if I could find someone who would listen to me, and now I have,” she said. Speaking to RFA from Norway, Rabihan’s son Kurbanjan said that in supporting Rebiya Kadeer by taking part in protests and donating money to the Uyghur cause, he has done nothing more than exercise his democratic rights in a free country. Bortala prefectural police department vice head Dilshat meanwhile acknowledged having seen Rabihan standing at his station’s gate.